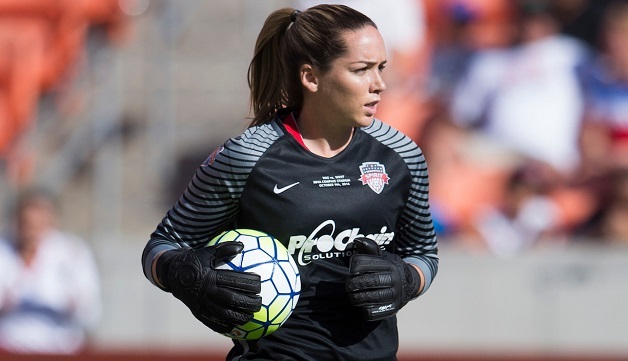 BOYDS, MD (Jan. 11, 2019) – The Washington Spirit has waived goalkeeper Kelsey Wys at her request in order to pursue opportunities overseas. The 27-year-old goalkeeper from Florida State University played three seasons with the Spirit, making 34 appearances for the club. During her first season with the club in 2015, Wys played in 11 games, recording two clean sheets. In 2016, she appeared in 12 games over course of the regular season and postseason, earning two clean sheets and making 61 saves, and started the 2016 NWSL Championship match. Wys did not appear in any regular season games for the Spirit in 2017 due to injury. She made one appearance for the Spirit in 2018, playing a full 90 minutes against the Chicago Red Stars.